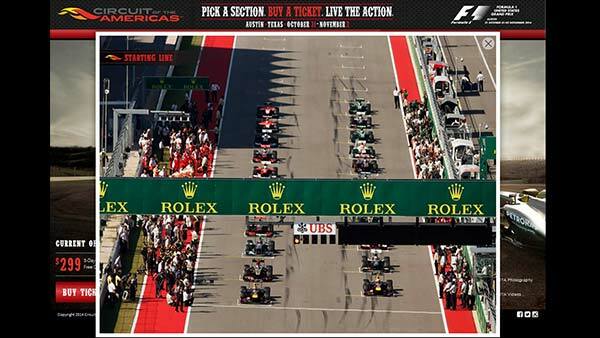 A promotional microsite created for one of the few Formula 1 race tracks in America and to sell tickets for a weekend of racing. 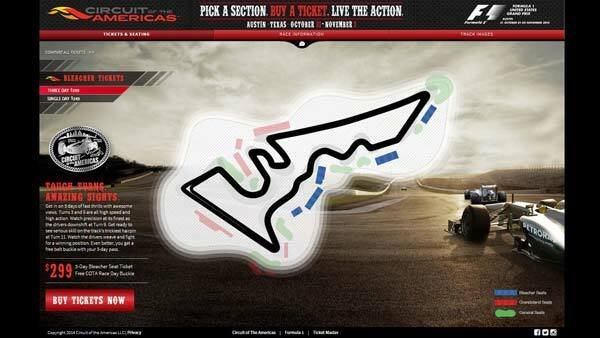 This microsite was developed to engage the user and use the map of the race track as the focal point of the navigation. 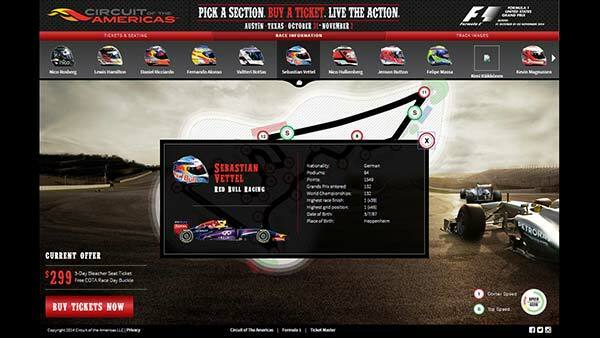 The Race Information page pulls racer information and statistics, along with the racer’s helmet and race car. The interactive track reveals corner and straightaway speeds and the typical gear the racer is in at these speeds. Finally finishing up with a gallery of images showing views of the track from specific seat location and events at the track. Technologies Used: PHP, jQuery, XML, HTML5 and CSS3.